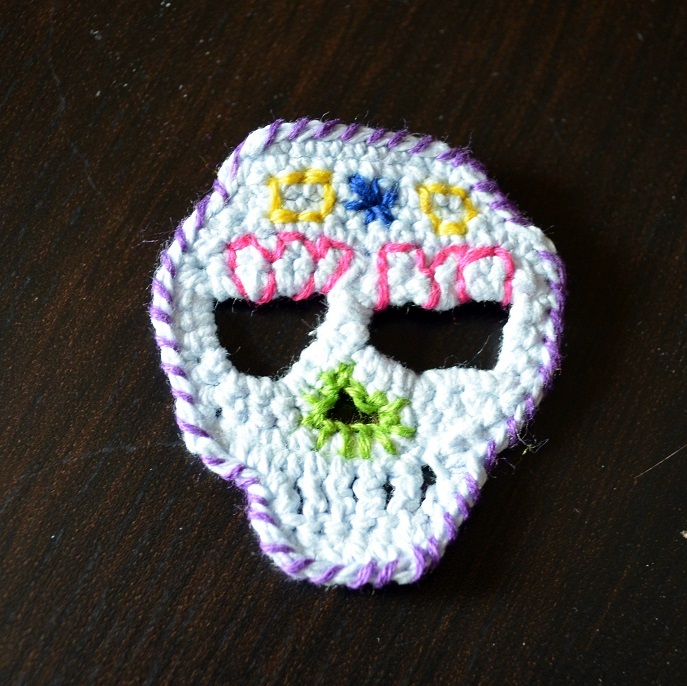 Okay, so I know it’s not exactly Halloween or Dia De Los Muertos but I couldn’t resist making a crochet skull. It all began when a friend of mine posted a link to a hat with a skull pattern on it. I was drawn to its uniqueness (as I tend to be when skulls are concerned) and thought about not making a hat but instead making skull drink coasters. 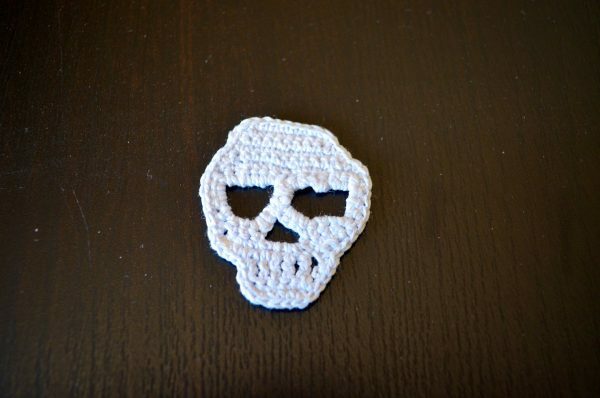 I was a quarter of the way through a skull pattern when I stopped and completely lost interest in making coasters. 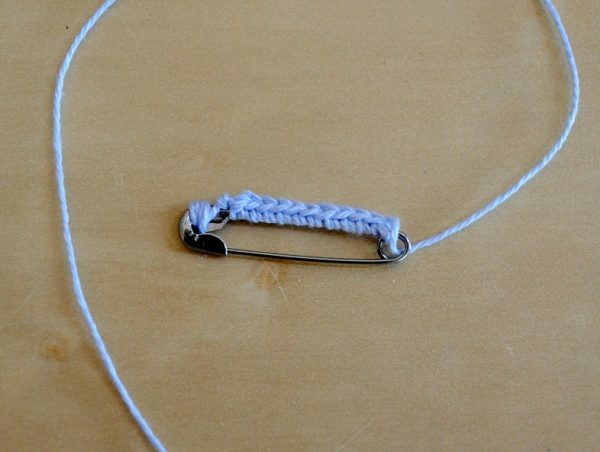 Now, I was wondering what it would look like if I used crochet thread and the smallest hook I own. And what would I do with a tiny skull? Why, make a pin of course! I used this pattern from Crochet Nirvana and instead of yarn I used crochet thread and size 1.50 mm hook. It took very little time and after I had finished, I sprayed some starch (cornstarch and water mixed in a spray bottle) on the skull to help shape and stiffen it a little. Next, I embroidered a little design with different coloured threads and lastly, I added a safety pin. 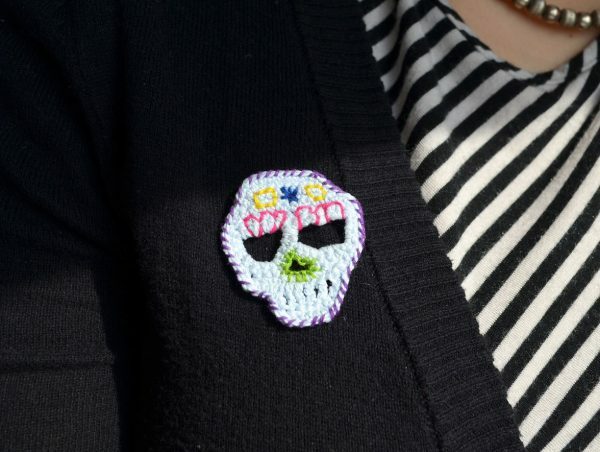 For the pin, I crocheted one side to make it easier to sew on to the pin. And voilà! I have a brand new pin to show off! First let me say I’m new to crochet so I have no clue if this is a dumb question so sorry – How would I put this in the middle of a granny square or something I’d love to make a pillow case with it? Second I love your site it is amazing thank you for doing free patterns I’m in hospital atm and can’t work and patterns can get expensive thank you. Your question is not dumb at all (I don’t think there are any dumb questions in crochet to be honest :)), actually it’s an awesome question because I haven’t had much experience with what you’re describing – great learning opportunity for the both of us, right? 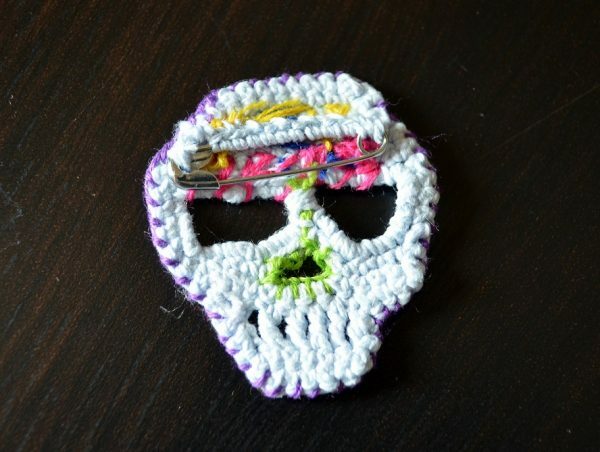 So if you’re looking to make an appliqué for a granny square for a pillow case my first thought would be, assuming you’re making the skull with regular yarn and a much MUCH larger hook, to simply sew the piece to the square. My second, and more ambitious yet non-experienced thought would be to pick up stitches around the skull once it’s finished but I’m not sure how the shape would turn out – it’s a skull so it’s not an easy shape to work with like a circle or square. 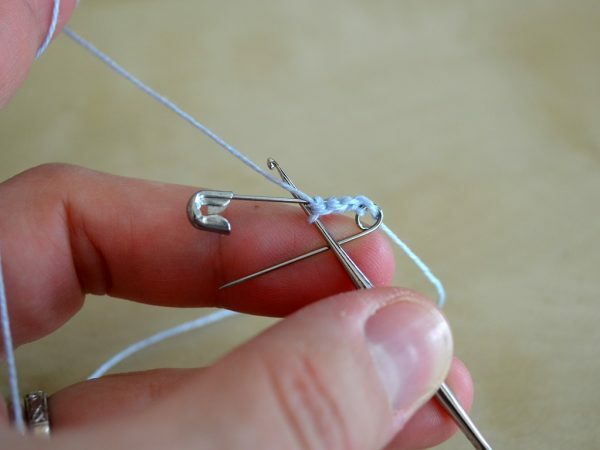 Another option would be to use hot glue BUT I’m personally not a huge fan of this because it can get messy and I just worry the piece would fall off, especially if you intend on putting it through the wash. If you want to experiment you can try out this pattern from Repeat Crafter Me (a really awesome blog), it looks like she picks up stitches on the back of her piece (an owl in this case) and from there she creates a granny square on the back.